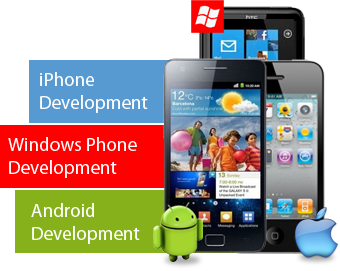 Mobile (IOS & Android) Application Design Services, With the passage of time mobile has developed to a hyper functioning tool. Mobile devices has now arise as the focus in IT business. Technology is advancing day by day and people are more tending towards smart phones, tablets or any other mobile devices. Mobile application have made easier for people to get any relevant information at their fingertips and stay connected to their work on-demand. To facilitate the customers with support in the varying environment SolutionDots Systems is giving the services of mobile application design it includes both (IOS & Android). In mobile (IOS & Android) application designing SolutionDots Systems is providing the IOS as well as Android design with affordable and creative designs. The creative and affordable android designs increase customer’s satisfaction and attraction towards the design. SolutionDots Systems has taken the responsibilities to make it easy for a smartphone user to approach your website. Now a days no one will bother to especially approach your site on desktop, people want everything on fingertips. When customer try to open a website on their smartphone it takes a lot of time due to lower disk space of mobile phone as well as low processing speed sometimes customer got annoyed and it gives bad impact of your business on them. But with android app design it becomes easy and attractive for them. Android application will also leave a good impact of your care about your customers. SolutionDots Systems provide the services of creative & high quality of android application design by keeping in view your requirements and visitors interest. The creativity of android application will play a key role in increasing your business. We have solution of all of your problems according to your own demand at market competitive and affordable charges. Professional android designer of our team are skilled to design creative and innovative designs for their clients. In Saudi Arabia almost 90% people are smartphone users in this 90% we can say 60% are android user for whom SolutionDots System will design a creative android application and help you in rising of your business and remaining 40% are IOS users. Now you must be thinking about the remaining 40%, I am sure that you want to attract them towards your business, you don’t want to miss their attention. So, don’t worry about them because as like android SolutionDots Systems also provide the services of affordable, creative & high quality IOS design. In designing a creative and high quality IOS application SolutionDots System keep your requirements and market values on the top. Now you got me SolutionDots Systems is a Mobile Application Design company of Saudi Arabia. It gives you creative, high quality, user attractive Android Application Design as well as IOS Application Design at affordable and market competitive charges. You may get the services of complete Mobile Application Design at same platform and flourish your business as much as you desire. Because your assistance and your satisfaction is our priority professional team SolutionDots System feel proud to assist you at any point. For any query feel free to contact us.